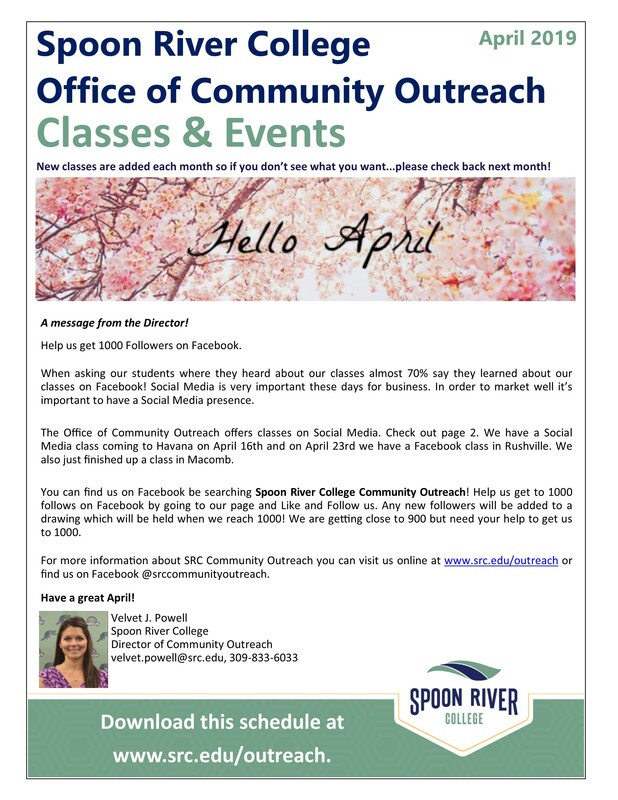 The Spoon River College Office of Community Outreach offers a variety of classes, seminars, workshops, and events that enhance personal and professional development as well as promotes lifelong learning opportunities. Classes and seminars are offered both day and evening in short intervals. Most seminars do not include tests, homework or commitment beyond attendance and participation. The Mission of the Spoon River College Office of Community Outreach is to positively impact the communities we serve through offerings, partnerships, projects, new opportunities, and leadership.